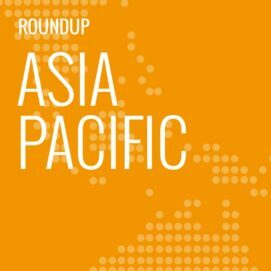 In this weekly segment, ExchangeWire sum up key industry updates on ad tech from around the Asia-Pacific region – and in this edition: Asia & social to drive ad spend; China offers untapped programmatic growth; Singapore consumers ‘lukewarm’ on brand relationship; AU online ad spend hit £1.1bn in 3Q; and AdAsia eyes China market through Taiwan. Asia is driving global advertising expenditure, with China generating 25% of overall spend between 2016 and 2019. According to Zenith’s latest projections, China’s growth rate had slowed in the last few years, but still was clocking 7% per annum. The country was the world’s second-largest market behind the US. India, Indonesia, and the Philippines also were projected to expand at double-digit growth rates per year through to 2019, accounting for 12% of global ad spend growth. The agency group added that the Philippines was expected to spend USD$3.5bn (£2.75bn) this year, while India and Indonesia, together, would clock USD$7.5bn (£5.89bn). Zenith also noted significant growth in social media ad spend, which would increase 72% globally between 2016 and 2019 from USD$29bn (£22.76bn) to USD$50bn (£39.25bn). This segment would contribute 20% of overall online ads in 2019, compared to 16% this year. By 2019, it would just be 1% smaller than newspaper ad spend, which would clock at USD$50.7bn (£39.8bn), before taking the lead in 2020. In a separate report, Zenith have revealed that China presents significant room for growth in programmatic, which accounts for just 23% of overall display ad buys this year. In comparison, programmatic trading would account for 70% of display ads in the US and UK. The report pointed to the US as the world’s biggest programmatic ad market, generating USD$24bn (£18.84bn) in 2016 and contributing 62% of total global programmatic ad spend. Significantly behind in second, the UK market would be worth USD$3.3bn (£2.59bn) this year, while China would come in third at USD$2.6bn (£2.04bn). Across the globe, programmatic advertising would grow faster than all other digital channels next year, at 31%. In comparison, social media ad spend would grow 25%, while online video would expand by 20%. According to the Zenith report, programmatic would emerge the primary method of trading for digital display ads this year, contributing 51% of overall spend. This would climb to 58% next year. In 2012, programmatic accounted for just 13% of display ad spend, at USD$5bn (£3.92bn). It grew at 71% a year to hit USD$39bn (£30.61bn) this year. 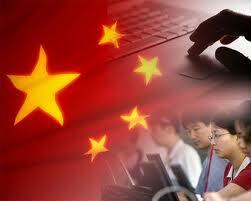 It was projected to grow at average 28% a year through to 2018, when it would hit USD$64bn (£50.24bn). Singapore consumers’ relationships with brands and retailers are found to be “lukewarm”, with low-to-average scores on brand enthusiasm, loyalty, and willingness to share data. Just 3% described themselves as “devoted” to their preferred retail brands with which they expressed desire to establish an enduring relationship, revealed a study commissioned by ICLP, in which Survey Sampling International polled 750 consumers in the country. Three-in-four consumers said they would buy more from retailers if they were better rewarded for their loyalty, according to ICLP. The brand loyalty marketing agency added that the findings indicated “underlying gaps” in consumers’ retail experience. Some 67% of Singapore consumers would buy more if retailers used their data with careful consideration, tapping contextual information to better understand their individual needs and preferences. Another 61% highlighted the need for better communication. Their country manager Bruno Tay said: “What we are seeing from our research is that many Singaporean consumers still relate to brands and retailers at a transactional level; so when times are uncertain, they easily resort to the myriad choices that are at their disposal, often literally at their fingertips now. “It’s not too late to turn things around, though. In fact, retailers now have a chance to truly stand out if they appeal to the heart, too, by approaching communication, reliability, consistency, reward, and recognition from a human perspective”, Tay said. He added that consumers were more likely to recommend brands with which they had good relationships, with 92% doing so if they were “devoted” to the brand. In comparison, just 12% in a “liking” relationship would recommend the retailer to others, while 27% in a “casual” relationship would do likewise. Online ad spend climbed 20.3% year-on-year to hit AUD$1.88bn (£1.1bn) for the quarter ending 30 September. According to latest figures from the PwC and IAB Australia report, FMCG brands continued to transition towards digital video, which accounted for 23.5% of total video spend. This also was almost three times more than general display ad budgets, which contributed 8.2% of overall spend. IAB Australia CEO Vijay Solanki said: “The dominance of FCMG in video shows marketers are warming to the longer term effects of cross-device, and even cross-media campaigns that are underpinned by digital video. The report also noted that Classified ads grew 13.4% during the quarter, while Search and Directories climbed 22.8%, and General Display increased 21%. Spend on mobile ads grew 56.6% year-on-year to hit AUD$570.7m (£333.83m), with smartphones accounting for 64% of total mobile budget. The ad tech vendor has opened an office in Taipei, Taiwan, in a move they hope will drive their expansion into Greater China. Headquartered in Singapore, AdAsia said their Taipei site would be led by newly appointed Taiwan country manager, Masahiro Goto, who was previously from fintech company, Uzabase Asia-Pacific. AdAsia CEO and co-founder Kosuke Sogo said: “Taiwan will be our entry point into the Greater China market, providing us with an initial base to clients in the region. We are taking a unique approach to the Greater China market, tailoring our solutions to marketers, advertisers, publishers, and influencers according to their local needs. “We’re also looking to partner up with local players and Taiwan provides us with a perfect starting point”, Sogo said.